Where abuse of discretion review applies, a court is not required to view evidence in a light most favorable to the non-movant plaintiff. And, a full and fair review does not require that an administrator consider a post-appeal submission addressing evidence the administrator obtained on review. In Killen v. Reliance Standard Life Ins. Co., No. 14-10052, __F.3d___, 2015 WL 127379 (5th Cir. Jan. 8, 2015), the 5th Circuit Court of Appeals affirmed the district court’s grant of summary judgment to Reliance Standard in a dispute concerning its denial of Plaintiff’s claim for extended long-term disability benefits. The district court held that Reliance Standard did not abuse its discretion in finding that Plaintiff could perform sedentary work. In so doing, the court rejected Plaintiff’s argument that the summary judgment standard requires that the evidence and inferences drawn from that evidence be viewed in the light most favorable to her since she is the non-movant. The court explained that Plaintiff “misapprehends the nature of appellate review of summary judgment decisions on ERISA benefits cases where the plan at issue vests discretion, as this one does, in a plan administrator.” The court clarified that its decision in Baker v. Metropolitan Life Ins. Co., 364 F.3d 624 (5th Cir. 2004) explained that appellate courts review district court decisions in the ERISA context de novo and draw all inferences in favor of the non-movant, but “when an administrator has discretionary authority with respect to the decision at issue, the standard of review should be one of abuse of discretion.” Id. at 627. 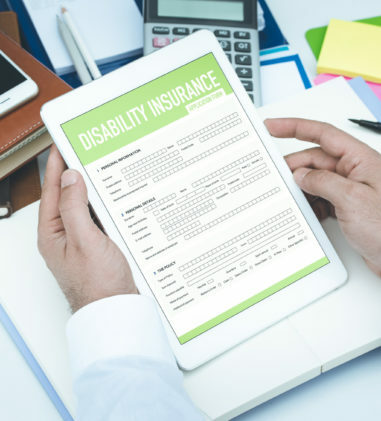 The court found that in this case, substantial evidence supported Reliance Standard’s decision to deny long-term disability benefits to Plaintiff. Although there is evidence in the record to support Plaintiff’s claim for disability, there is also more than enough evidence supporting a denial to insulate the decision from reversal, particularly under the court’s “narrow review for abuse of discretion.” Such evidence included: 1) Reliance Standard’s vocational expert identified between three and five sedentary jobs Plaintiff could perform; 2) the examining physician, Dr. Burgesser, opined that Plaintiff was capable of performing at a sedentary work capacity; and 3) Plaintiff’s own treating physicians equivocated at different times about the extent of her disability – though her primary care physician ultimately concluded that she was totally disabled, her orthopedic surgeon’s reports are ambiguous at best on the issue. The court also rejected Plaintiff’s argument that Reliance Standard failed to provide a full and fair review of her claim because (1) the company did not provide sufficient evidence in support of its initial denial of benefits and (2) the company brought forward its strongest evidence of Plaintiff’s continued ability to perform full-time sedentary work during the final appeal without giving her a meaningful opportunity to respond. The court found that Plaintiff’s first argument is foreclosed by its decision in Wade v. Hewlett-Packard Dev. Co., 493 F.3d 533 (5th Cir.2007), where the court held that a failure to substantially comply with ERISA and its accompanying regulations at each and every level of review of a Plan’s internal claims processing does not deprive a claimant of a full and fair review. In this case, the court found that Reliance Standard substantially complied with ERISA at every step, including its initial denial. With respect to the second argument, the court found that Plaintiff was not “sandbagged” by a report containing unanticipated factual findings since was on notice beginning with the initial denial that she needed to bring forward evidence of her inability to perform sedentary work. Reliance Standard provided her an adequate opportunity to do so. The court also found that although Reliance Standard has a financial conflict of interest, it adequately considered Plaintiff’s favorable Social Security Disability Insurance award where it twice addressed the SSA benefits awarded to Plaintiff, once distinguishing its denial in detail. The court found no procedural unreasonableness on these facts suggesting that it should accord the conflict of interest factor any special weight. 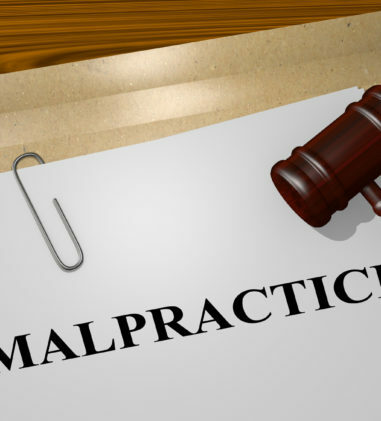 Lastly, Plaintiff argued that Reliance Standard improperly failed to allow her to supplement the administrative record with a letter from a doctor that she submitted four months after the third claim denial. Before filing suit, a claimant’s lawyer can add additional evidence to the administrative record simply by submitting it to the administrator in a manner that gives the administrator a fair opportunity to consider it, but such opportunity must come in time for the administrator to reconsider his decision. The court found that Plaintiff’s late submission, only four weeks before Plaintiff filed suit, gave Reliance Standard a fair opportunity. The court declined to find an abuse of discretion in Reliance Standard’s decision not to supplement the record and found no fault in the district court’s choice not to consider the letter. Voluntary pre-retirement attrition program is not an ERISA Plan. In Buchanan v. Gen. Motors, LLC, No. 13-1664, __Fed.Appx.___, 2015 WL 105892 (6th Cir. Jan. 7, 2015), the 6th Circuit Court of Appeals affirmed the district court’s grant of judgment on the pleadings in favor of Defendant General Motors on all of Plaintiffs’ four claims: (1) equitable estoppel under federal common law and ERISA § 502(a)(3), 29 U.S.C. § 1132(a)(3); (2) breach of fiduciary duty under ERISA § 502(a)(3), 29 U.S.C. § 1132(a)(3); (3) enforcement of substantive rights under ERISA § 502(l)(1)(B), 29 U.S.C. 1132(l)(1)(B); and (4) recovery of benefits (denial of benefits) under ERISA § 502(a)(1)(B), 29 U.S.C. § 1132(a)(1)(B). The dispute concerns an “UAW-GM-Delphi Special Attrition Program” (“SAP”) entered into by GM, Delphi, and the United Autoworkers union. The SAP created a voluntary pre-retirement program under which Delphi employees that had accrued between twenty-seven and thirty years of service would cease reporting to work, but continue to receive monthly wages and accumulate credited service toward their pensions under the Delphi Pension Plan. When the assets and liabilities from the Delphi Pension Plan were transferred to the GM Pension Plan, GM determined that it would count Plaintiffs’ time employed at Bosch toward their eligibility for pension benefits, but it would not count that time in calculating the amount of the benefits due. Thus, it had “revised” Plaintiffs’ pension benefits downward and Plaintiffs allege that this reduction in their pension benefits was done in violation of the SAP. The panel majority determined that the gravamen of Plaintiffs’ complaint is that “GM made a written representation to all of the named Plaintiffs in the form of the SAP that the pension amount would be calculated using a formula that included their years of service at Bosch as well as Delphi and GM.” The court did not construe the complaint as making any claim against GM under the GM Pension Plan. Because the court determined that Plaintiff’s claims are rooted in the SAP, the threshold question presented on appeal is whether the SAP is an ERISA Plan. 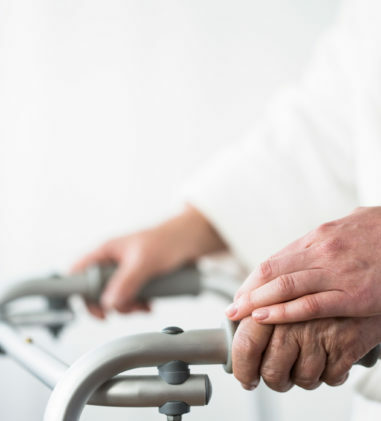 The court determined that the SAP cannot be classified as an ERISA pension benefits plan in the first instance because it does not provide “retirement income” as defined in 29 U.S.C. § 1002(2)(A)(i). 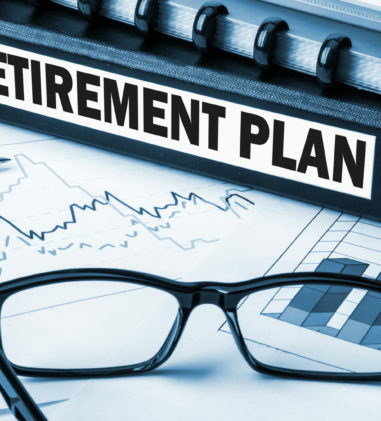 The SAP is a self-described “pre-retirement program” that incentivizes retirement by providing certain monthly wages for participating employees. Upon retirement, the SAP payments end, and the former employee receives pension benefits pursuant to the Delphi or GM Pension Plan. The SAP does not provide for pension benefits separate from or in addition to those provided by Delphi or GM. By its plain terms, the court found that the SAP does not provide for pension benefits at all. Because the SAP is not an ERISA plan, the court found that Plaintiffs fail to state a claim. The dissent contended that Plaintiffs are making a claim against the GM Pension Plan and Plaintiffs must exhaust their administrative remedies before the federal court rules on the motion for judgment on the pleadings-just as the GM Pension Plan requires. Court affirmed denial of long-term disability benefits in action brought by pro se plaintiff. In Cook v. Aetna Life Ins. Co., No. 14-10473, __Fed.Appx.___, 2015 WL 75191 (11th Cir. Jan. 7, 2015), the 11th Circuit, in a per curiam opinion, affirmed the district court’s grant of summary judgment in favor of Aetna on the pro se Plaintiff’s denied long-term disability claim. The court found that the records showed Plaintiff was not disabled, and that thus the administrator’s decision to deny benefits was not wrong. The district court was entitled to rely on the Independent Medical Evaluation (“IME”) performed by Dr. Richard Wilson, which did not reveal any medical conditions causing disability. Moreover, although Plaintiff’s treating physician concluded that Plaintiff was disabled, Dr. Robert Swotinsky, a board-certified specialist in occupational medicine, reviewed the basis for the treating doctor’s assessment, and concluded that “[t]he documentation [did] not corroborate impairment.” Aetna was not required to accord extra respect to the treating physician. Because the court determined that Aetna’s decision to deny benefits was not wrong, it did not need to move on to the next step of the analysis. However, the court found that even if Aetna’s decision was wrong, it was not arbitrary and capricious in light of the medical opinions in the record. In Trustees of the IBEW/NECA Sound & Commc’ns Health & Welfare Trust v. Netversant Solutions II LP, No. C-14-00611-RMW, 2015 WL 124633 (N.D. Cal. Jan. 8, 2015), a matter involving unpaid trust contributions and a default judgment against Defendant, the court found that Plaintiffs’ requested attorneys’ fees award of $6,820.00 is reasonable. The award is based on 17 hours of attorney time billed at $275.00 per hour and 11 hours at $195 per hour. 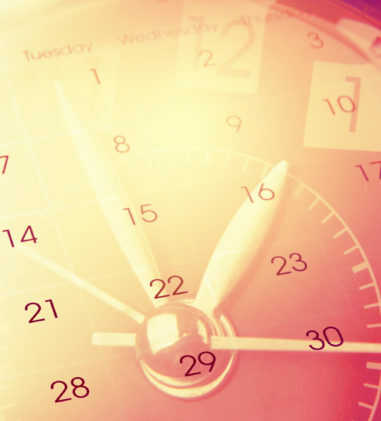 The court found that both the number of hours worked and hourly rates reasonable in this legal market for attorneys of similar skill and experience in an ERISA collections case. The court also awarded Plaintiffs their filing costs of $400.00 in this case. Any (1) individual formerly employed at a Champion Spark Plug facility, in a unit represented by the UAW, who retired before January 1, 1994 (excluding deferred vested retirements, unless made eligible for retirement healthcare coverages under a plant closing agreement) with retirement healthcare coverages, and who is eligible for retirement healthcare coverages sponsored by Federal-Mogul Corporation; and (2) surviving spouse of a deceased individual identified in item (1) who is eligible for retirement healthcare coverages sponsored by Federal-Mogul Corporation. Under the Settlement Agreement, class members will have the choice of enrolling in one of two health insurance plans. Federal-Mogul will implement the two settlement plans based on individual retiree and surviving spouse election, and Federal-Mogul will be released from any claims for monetary damages in connection with the November 2009 benefit modifications. As part of the settlement, Federal-Mogul will pay class counsel reasonable attorney’s fees and costs for work done in this litigation in the amount of $340,000. From this amount, class counsel will reimburse UAW for certain attorney fees and costs advanced by UAW during the litigation. Greater St. Louis Const. Laborers Welfare Fund v. Town & Country Masonry, No. 4:13-CV-00696-JAR, 2015 WL 65074 (E.D. Mo. Jan. 5, 2015) is an action involving delinquent fringe benefit contributions. Plaintiffs filed a motion to compel seeking to take a post-judgment deposition in aid of execution of their judgment. The court found that this procedure is appropriate pursuant to Fed.R.Civ.P 69(a) and 30. Based on the affidavit of Plaintiffs’ counsel, the Custodian of Records of Defendant Town & Country was properly noticed for deposition but failed to appear. The court granted Plaintiffs’ motion and ordered the Custodian of Records of Defendants to appear for deposition at the offices of Plaintiffs’ counsel, and produce the requested documents at the same time. In Cmty. Hosp. of the Monterey Peninsula v. Aetna Life Ins. Co., No. 5:14-CV-03903-PSG, 2015 WL 138197 (N.D. Cal. Jan. 9, 2015), Plaintiff Community Hospital of the Monterey Peninsula (“CHOMP”) brought suit against Defendants Aetna Life Insurance Company, Valueoptions of California, Inc. and Valueoptions Inc., for declining to provide authorization for continued hospital care for a patient who was a member of an employer self-funded health plan administered by Defendants. The court found that ERISA does not preempt any of CHOMP’s claims and remanded the case to Monterey Superior Court. In this case, CHOMP explicitly disavowed any claim based on the patient’s right to benefits under its employer’s ERISA plan. Instead, CHOMP bases its claim on state law payment standards for emergency and medically necessary services it provided after Defendants allegedly failed to take over the patient’s care. The court found that Plaintiff could not have brought the instant claims under Section 502(a)(1)(B) because it is not seeking benefits under an ERISA plan. Additionally, CHOMP’s claims depend on an interpretation of state law, and do not in any way involve the interpretation of any ERISA plans administered by Defendants. Davidson v. Henkel Corp., No. 12-CV-14103, 2015 WL 74257 (E.D. Mich. Jan. 6, 2015) involves a class action seeking to recover retirement plan benefits from a nonqualified deferred compensation plan which Plaintiff maintains were wrongfully reduced by Defendants failure to follow the Internal Revenue Code’s (“IRC”) special timing rule for the withholding of Federal Income Contributions Act (“FICA”) taxes on vested deferred compensation. Because Defendants failed to follow the special timing rule, Plaintiff lost the benefit of the IRC’s non-duplication rule resulting in devastating tax consequences. 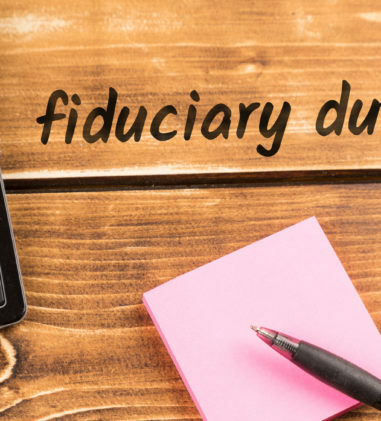 Instead of paying FICA taxes once on the entire amount of deferred compensation pursuant to the special timing and non-duplication rules, Plaintiff is now required to pay FICA taxes each year that he receives benefit payments from his deferred compensation plan. Defendants’ filed a motion to dismiss which the court denied in part and granted in part. The court found that Plaintiff’s state law claims are preempted by ERISA. Plaintiff argued that he cannot determine whether the Plan is an ERISA plan because Defendants have, in addition to the representations that the Plan is a “top-hat” plan, made representations that the Plan “is an excess benefit plan to provide for compensation above IRS limits pursuant to I.R.C. § 415, and as such would not be subject to ERISA.” Therefore, Plaintiff asserted that he is permitted to plead his state law claims in the alternative should it be determined that the plan is an excess benefit plan not governed by ERISA. The court found that the Complaint does not plausibly allege that the Plan is an excess benefit plan. An “excess benefit plan” is, by definition, one maintained “solely” for the purpose of providing benefits beyond the contribution limits imposed by 26 U.S.C. § 415. The Plan’s stated purpose is to benefit a select group of high level employees with supplemental retirement benefits. Plaintiff’s sole basis for maintaining that there is a question of fact as to whether the Plan is an excess benefit plan is based on an October 14, 2011 letter, wherein a Henkel representative indicated: “No, this benefit comes from the Henkel Corporation Supplement Retirement Plan payment. This is the restoration plan which provides benefits similar to the qualified plan, but on compensation that exceed IRS limits for qualified plans.” The court found that without any indication in the Plan suggesting that it is an excess benefit plan for the purpose of avoiding § 415 limitations, the October 14, 201l letter’s representations cannot alter the stated purpose of the Plan to benefit a select group of management or highly compensated individuals. Because the Complaint contains no plausible allegations supporting Plaintiff’s theory that the Plan may be an excess benefit plan, and because Plaintiff’s state law claims (breach of contract, misrepresentation, breach of fiduciary duty and negligence) do not arise out of any duty independent of ERISA, Plaintiff’s state law claims are preempted by ERISA. Unum Life Ins. of Am. v. Witt, No. 1:14CV00005, 2015 WL 72099 (W.D. Va. Jan. 6, 2015) involved an interpleader action where Unum paid into court the death benefit proceeds of a life insurance policy and requested the court to determine who is entitled to those proceeds-either the named beneficiaries of the policy or a bank that obtained an assignment of the policy as collateral for a loan to the insured. The bank moved for summary judgment, which the court granted. The court found that it is settled that where the insured assigns the proceeds of a life insurance policy as security for a debt, the creditor’s right is superior to that of the beneficiary of the policy. The Beneficiaries contended that there is no present evidence that the assignment in question in this case was properly filed, but the court explained that life insurance policy provisions requiring an assignment to be filed with the insurance company are solely for the benefit of the insurer, and not the beneficiary. If the insurer does not insist on such provisions, the beneficiary cannot complain, and by filing an interpleader action, an insurance company waives compliance with such provisions. The court also rejected the Beneficiaries’ argument that the life insurance company ought to have notice of an assignment prior to the insured’s death because Group Policy contains no such requirement and neither Unum nor the Beneficiaries were prejudiced by the timing of notice of the Assignment. In United States v. Wyatt, No. 96-CR-00468-RBJ, 2015 WL 148677 (D. Colo. Jan. 12, 2015), the court dismissed an application for a writ of garnishment where the government sought to garnish benefits from an ERISA-governed retirement account. The retirement plan sponsor objected that the pension plan funds cannot be released without spousal consent. Under ERISA, retirement benefits of married participants must be paid in the form of a qualified joint and survivor annuity. The government argued that under the FDCPA, co-owned property interests are determined by state law, and that to the extent the garnishment affects the property interest of a third party, that individual must intervene in the action and prove her interest. The court agreed with the garnishee that because the pension plan is governed by ERISA, the spouse’s property interest would be based in federal law and she does in fact have such an interest. The court determined that without spousal consent, the funds cannot be garnished. The court also determined that the garnishee has standing to adjudicate whether the funds can be garnished without spousal consent and the spouse did not need to intervene in the matter. In re Express Scripts, Inc., No. 4:05MD01672HEA, 2015 WL 128073 (E.D. Mo. Jan. 8, 2015) involves multi-district litigation wherein Plaintiff alleges that ESI retained undisclosed rebates from manufacturers and enriched itself through various practices at the expense of the beneficiaries of the Local 153 Health Fund. Plaintiff sets out allegations which it contends establish ESI as a fiduciary, both at common law and under ERISA. Count I is brought under a theory of Breach of Fiduciary Duty; Count II, Deceptive Practices, in violation of N.Y. General Business Law § 349; Count III, Breach of Contract, Count IV, Conversion; Count V, Breach of the Covenant of Good Faith and Fair Dealing; and Count VI, Unjust Enrichment. Plaintiff sought certification of a class consisting of: All self-funded ERISA employee benefit plans (“ERISA Plans”) for which National Prescription Administrators, Inc. (“NPA”), at least initially, served as the ERISA Plans’ pharmacy benefits manager, and which utilized the NPA Select Formulary, at any time from January 1, 1996 through April 13, 2002. Based on this proposed definition, Plaintiff requested that the court certify a class under Rule 23(b)(3). The court denied Plaintiffs’ Motion for Class Certification because: (1) Plaintiff’s claims fail to satisfy the commonality requirement of Rule 23(a)(2); (2) Plaintiff’s claims fail to satisfy the typicality requirement of Rule 23(a)(3); (3) Plaintiff’s claims fail to satisfy the adequacy requirement of Rule 23(a)(4); and (4) Plaintiffs’ proposed “liability class” does not raise questions of law or fact that predominate over individual issues, and is not a superior method of adjudication as required Rule 23(b)(2). In Davidson v. Henkel Corp., No. 12-CV-14103, 2015 WL 74257 (E.D. Mich. Jan. 6, 2015), discussed above under ERISA Preemption, Defendants’ moved to dismiss Plaintiff’s ERISA claims for their failure to meet the pleading standards set forth in Iqbal and Twombly. The court found that because top-hat plans are subject to ERISA and are exempted from much of ERISA’s regulatory scheme, Count II alleging breach of fiduciary duties under ERISA, 29 U.S.C. § 1104-1106, is subject to dismissal because top-hat plans are exempt from the fiduciary duty and prohibited transactions requirements. However, the court found that Plaintiff states a claim under ERISA in Count I, recovery of benefits due under ERISA, because Defendants may be liable under this theory. The Plan gave them discretionary control over participants’ funds and their tax treatment and the Plan authorized and obligated Defendants to properly manage the tax withholding from Plaintiff’s benefits, which they purportedly admitted to mishandling in an October 14, 2011 letter stating: “Yes, at the time your commenced receipt of this benefit, Henkel should have applied FICA tax to the present value of your nonqualified pension benefit.” The court also found that Plaintiff’s equitable estoppel claim under ERISA, Count III, may be a viable theory in ERISA cases. Accordingly, the court concluded that Plaintiff stated claims in Count I and III of his Complaint and these claims are not subject to dismissal under Rule 12(b)(6) or 12(b)(1). Tran Chiropractic Wellness Ctr., Inc. v. Aetna Inc., No. 8:14-CV-47-T-36EAJ, 2015 WL 144243, (M.D. Fla. Jan. 12, 2015) involves a claim by Plaintiff Tran Chiropractic Wellness Center, Inc., a provider of medically necessary and appropriate chiropractic and related services to patients covered under healthcare plans issued by Defendant Aetna, Inc. (“Aetna”) or its affiliates (“Aetna Plans”), alleging that Aetna wrongfully denied claims submitted by Plaintiff. 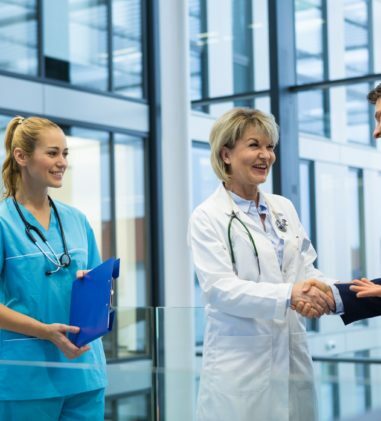 The court found that Plaintiffs satisfied Rule 8’s pleading requirements where they alleged that they have assignments from all of the patients at issue in this suit. Rule 8 does not require Plaintiffs to attach those hundreds of assignments to their complaint. The court also found that the pleadings sufficiently allege compliance with the exhaustion requirement under ERISA. Here, Plaintiffs allege that the exhaustion requirement was deemed fulfilled by operation of the law or, in the alternative, that the requirement is excused due to futility. The court found this allegation is sufficient to survive a motion to dismiss. Furthermore, the language of the plan at issue here suggests that the exhaustion of the available administrative review process may not be required before a lawsuit can be filed. Lastly, Defendants asked the court to dismiss Count V requesting injunctive relief pursuant to 29 U.S.C. § 1132(a)(3) based on the argument that a plaintiffs’ breach of fiduciary claim based on the same factual allegations as its claim for unpaid benefits is duplicative. The court found that the claim is not duplicative because it does not rely on the same factual allegations or seek the same relief. Here, Plaintiffs sufficiently pleaded that Count V is based on Defendants’ alleged retaliatory practices and repeated violations of procedural requirements-not the failure to pay benefits on any particular claim. Thus, Plaintiffs are permitted to proceed with Count V.
In Gale v. EIX Severance Plan for Nonrepresented Employees, No. SACV 14-00044-JLS, 2015 WL 93441 (C.D. Cal. Jan. 7, 2015), the court granted summary judgment in favor of Defendants in this action where Plaintiff challenged his denial of severance benefits under the EIX Severance Plan for Nonrepresented Employees (the “Plan”). Southern California Edison, the Plan’s sponsor, operates the San Onofre Nuclear Generating Station (“SONGS”), where Plaintiff previously worked. The SONGS 2012 Employee Requested Severance Program (“SERSP”) provided severance benefits to eligible employees who were accepted for participation. 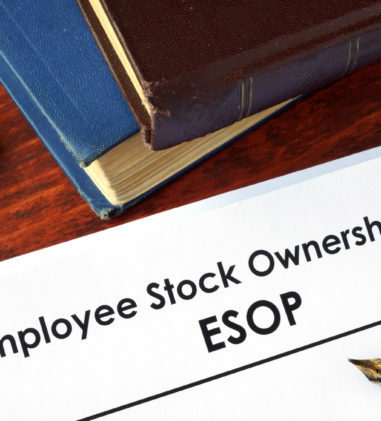 To be eligible for benefits under the Plan through the SERSP, an individual had to be a SONGS employee at the time the SERSP was announced on September 24, 2012. In addition, an employee had to have been terminated from employment while the Plan was in effect. Employees also had to apply to participate in the SERSP within the application period of September 27, 2012 to October 12, 2012. Another requirement for eligibility was that an employee had to be designated as “Surplus,” that is, selected for termination by his Participating Employer as part of, inter alia, a reduction in force. 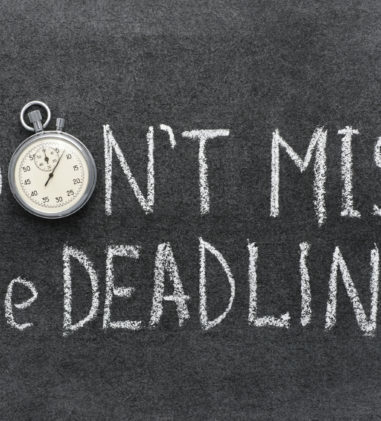 Before the application period, Plaintiff requested a retirement benefit commencement date of October 1, 2012 and September 30, 2012 as his last day of work, but later changed his last day of his employment from September 30, 2012 to September 4, 2012. Defendants denied Plaintiff participation in the SERSP because: (1) he was not a full-time employee and was not designated as Surplus; and (2) he did not meet the definition of Surplus as defined in the Plan. With respect to the standard of review the court noted that where members of a plan administrator are employees of a large corporation, the conflict of interest is minor if the effect of the disputed claim on the company’s operating results is immaterial. Here, SCE had operating revenue of $12.56 billion in 2013 and Plaintiff’s claim would cost the company roughly $130,000. Thus, Plaintiff’s claim for severance benefits could not have seriously impacted SCE’s bottom line. Because of this, the court employed only a low-level of additional skepticism in applying the abuse of discretion standard. The court found that Defendants’ denial of benefits was not an abuse of discretion. Plaintiff alleged that the Committee did not adequately investigate his claim because it delegated the responsibility for making initial claim determinations to HR Operations, which also assisted the Committee in processing Plaintiff’s appeal. The court found that the Committee engaged in a meaningful dialogue with Plaintiff, adequately and independently investigated his allegations, and found them to be without merit. In sum, the court found that the evidence points to the single conclusion that Plaintiff was simply not eligible to participate in the SERSP for a number of reasons. In Lybecker v. Union Pac. Corp., No. CV-13-0231-LRS, 2015 WL 144413 (E.D. Wash. Jan. 12, 2015), Plaintiff’s amended complaint included one claim against Union Pacific under ERISA § 502(c)(1)(B) for its alleged failure to produce plan documents in a dispute concerning life and accidental death benefits, where those benefits were ultimately paid by the plan’s insurer, Prudential. The court found that Plaintiff has no statutory standing to bring this action for a penalty claim against UPC because she has no “colorable claim” of entitlement to a plan benefit. Plaintiff relied on her claim against Prudential as the source of her “participant” status asserting that she had a “colorable claim” to life insurance plan benefits because she was entitled to “the greater of the profits Prudential earned on her money or interest on that money.” The court found that this prayer for relief standing alone is not sufficient to satisfy the definition of “participant” or “beneficiary” under the colorable claim test because such claim must be for a benefit (and not solely interest or penalty) under the plan. 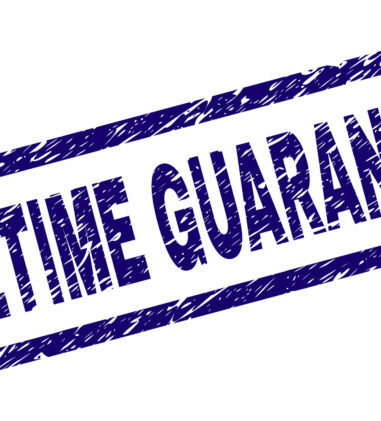 Before June 18, 2013, Plaintiff had received every benefit due to her under the subject plan, with what Plaintiff calls “fair rate” for interest on the money Prudential earned on that benefit paid fully but not timely. The court noted that the Ninth Circuit has never held that payment of interest is a “benefit” for purposes of statutory standing analysis under Section 1132(a)(l) and the court found no case law to support the view that interest is considered a “benefit” in the ERISA context. When this action commenced, Plaintiff did not have any claim to any further payments from Prudential. Because Plaintiff lacks standing, the court found that Union Pacific is entitled to judgment as a matter of law and dismissed Plaintiff’s claim. Lastly, the court agreed with Defendant’s position that § 1132(c) is inapplicable because Plaintiff failed to comply with the statute’s requirement that requests for information be made in writing and directed to the plan administrator. Union Pacific did not receive the requests in writing and Prudential (not Union Pacific), was the plan administrator of the subject plan involved. In Erwood v. Life Ins. Co. of N. Am., No. CIV.A. 14-1284, 2015 WL 143892 (W.D. 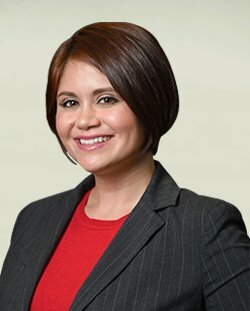 Pa. Jan. 12, 2015), the court denied Defendants’ motion to transfer venue to the Northern District of Georgia, in this matter where Plaintiff seeks to recover life insurance benefits under a benefit plan established by WellStar Health System on behalf of its employees, including her deceased husband. The Plan is funded by a group life insurance policy purchased by WellStar from Defendant Life Insurance Company of North America (“LINA”). LINA both insures the Plan and handles all claims administration on behalf of the Plan. Plaintiff filed this action in the United States District Court for the Western District of Pennsylvania pursuant to ERISA’s broad venue provisions. Plaintiff resides in Georgia and WellStar is a Georgia corporation, with no offices or employees in Pennsylvania. Georgia is the location where LINA entered into an Agreement with WellStar to insure benefits and review claims brought by WellStar employees and their beneficiaries. However, LINA reviewed Plaintiff’s claim for benefits “out of a location in Pennsylvania.” Plaintiff argued that venue is proper in Pennsylvania, where LINA is headquartered, and in Pittsburgh, the location of the United States District Court for the Western District of Pennsylvania, where the claim was administered and denied. The court found that in weighing private considerations, it is clear that key documents and witnesses to the dispute are located in both venues, rendering party and witness convenience, expense and travel factors less pivotal. With regard to public factors, ERISA claims typically are resolved on motions for summary judgment. Thus, court convenience and docket are not weighty factors in favor of transfer. Similarly, while WellStar may not have assets in Pennsylvania, Plaintiff may enforce a judgment entered against it in this district in Georgia pursuant to either 28 U.S.C.A. § 1963 or the “Uniform Enforcement of Foreign Judgments Law,” Ga.Code Ann. § 9-12-130, which permits enforcement in Georgia of any “judgment, decree, or order of a court of the United States.” Accordingly, enforceability of the judgment is not a factor weighing in favor of transfer. The court noted that the only consideration tipping in favor of transfer appears to be Defendants’ preference to litigate this action in Georgia but they have not met their burden to establish that transfer is warranted such that Plaintiff’s choice of venue should be disturbed. In Upstate New York Engineers Health Fund ex rel. Harrigan v. Ransom, No. 5:13-CV-01434 MAD, 2015 WL 145441 (N.D.N.Y. Jan. 12, 2015), the court granted Plaintiffs’ motion for entry of default judgment against Defendants for the sum of $128,674.54 including $66,500.76 in unpaid contributions and deductions, $27,454.77 in interest for the period from November 15, 2011 through May 20, 2014, $27,069.92 in liquidated damages, and $7,649.09 in attorneys’ fees and costs; prejudgment interest and liquidated damages for the period from May 21, 2014 through January 12, 2015 at the rates provided for by 29 U.S.C. 1132(g)(2) and the Trusts and Collections Policy; and interest thereon at the rate provided for by 28 U.S.C. § 1961(a). The court further ordered that Defendants are required to produce their books and records for the period from May 2011 to date for Plaintiffs’ review and audit, and to pay the cost and expense of such audit, including all attorneys’ and paralegal fees and costs incurred in obtaining the audit. In Trustees of the IBEW/NECA Sound & Commc’ns Health & Welfare Trust v. Netversant Solutions II LP, No. C-14-00611-RMW, 2015 WL 124633 (N.D. Cal. Jan. 8, 2015), Plaintiffs sought a default judgment against Defendant for failing to make timely monthly contributions to trusts for fringe benefits for its covered employees. The court concluded that Plaintiffs are entitled to their entire requested liquidated damages award of $23,000.39, comprised of $4,600.08 in statutory liquidated damages and $18,400.31 in contractual damages. In Trustees of the United Health & Welfare Fund v. N. Kofsky & Son, Inc., No. 08 CIV. 11219 KNF, 2015 WL 59173 (S.D.N.Y. Jan. 5, 2015), Trustees of the United Health and Welfare Fund brought suit against Defendants N. Kofsky & Son, Inc. (“NKS”), Kofsky & Son, Inc. a/k/a Kofsky & Son Plumbing (“KSI”), Richard Kofsky and Stephen Kofsky, seeking monetary contributions that Defendants allegedly failed to pay to the Fund as required by, inter alia, a collective bargaining agreement between NKS and the International Longshoremen’s Association, Local 976. The Fund alleged that Defendants NKS and KSI are jointly and severally liable to the Fund for unpaid contributions because, at all relevant times, they had an alter ego or single employer relationship. The Fund also alleged that Richard Kofsky and Stephen Kofsky are individually liable to the Fund for the unpaid contributions because they conspired to defraud it of the required benefit contributions by transferring assets from NKS to KSI, which, since KSI is not a signatory to the CBA, enabled them to conceal NKS’s financial activity. After a bench trial, Defendants filed a motion for judgment on partial findings under Fed.R.Civ.P. 52(c). The court found that Plaintiffs did not meet their burden of proving, by a preponderance of the evidence, that they are entitled to the relief they seek. Accordingly, the court granted Defendants’ motion and dismissed the action. In Int’l Union of Painters & Allied Trades Dist. Council 711 Health & Welfare & Vacation Funds & Finishing Trades Inst. v. Cobra Const., No. 13-CV-07495, 2015 WL 71487 (D.N.J. Jan. 5, 2015), Plaintiffs International Union of Painters and Allied Trades District Council 711 Health & Welfare and Vacation Funds and Finishing Trades Institute, and Vincent M. Lane, Trustee moved for default judgment against Defendant Cobra Construction pursuant to Federal Rule of Civil Procedure 55(b)(2). The court previously denied the motion without prejudice for failure to submit the CBAs covering the full period for which Plaintiffs seek damages, or sufficient evidence demonstrating that Defendant agreed to abide by the terms of the CBAs. Plaintiffs subsequently submitted a supplemental affidavit in support of their motion for default judgment, which the court considered to grant Plaintiffs’ motion. The court ordered that judgment shall be entered in favor of Plaintiffs and against Defendant in the amount of $4,582.88, representing $2,993.56 in unpaid benefit contributions, $1,120.00 in attorneys’ fees, and $469.32 in costs.